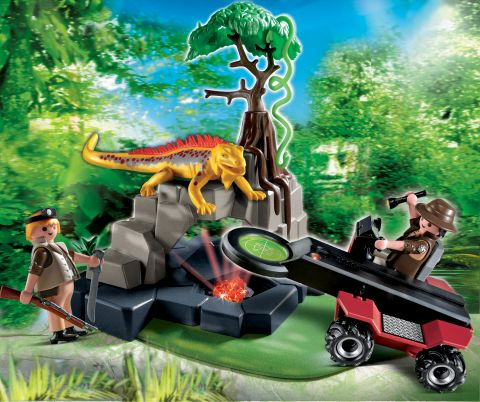 Find the mysterious crystal with the metal detector and uncover the secret of the jungle! Features 2 treasure hunter figures, mummy dinosaur with babies and eggs. Ages 4+.